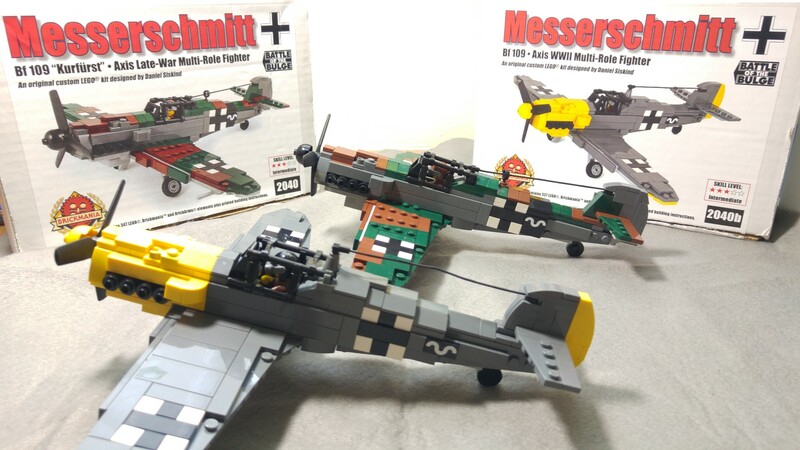 A few weeks back, we reviewed the Messerschmitt Bf 109 (2048b). 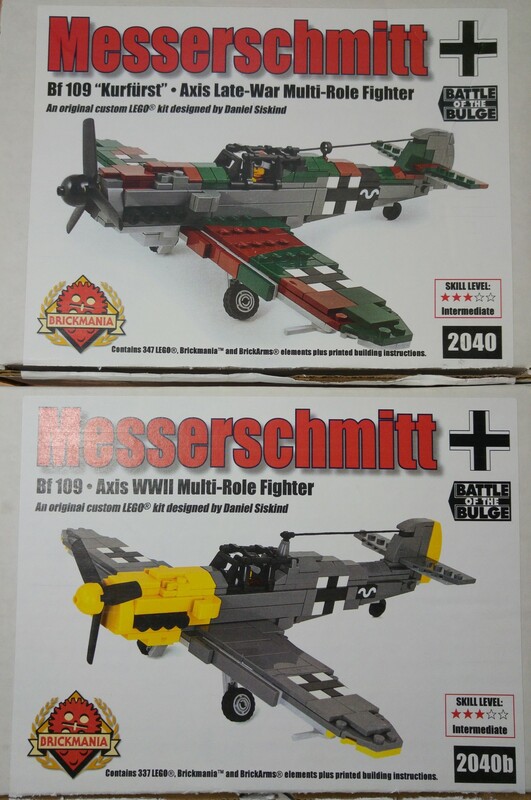 This is more of a BrickMania Kit comparison review with another similar model the Messerschmitt Bf 109 “Kurfurst” (2040). This Bf 109 comes with a camouflage skin. The minifig on the left is from the 2048 kit and the right is from the 2048b kit. Basically both have the same face and torso. Slight difference only for the helmet and legs. The planes are mostly identical other than the skin of the plane. A very small difference noted is from the tail string to the centre of the plane. 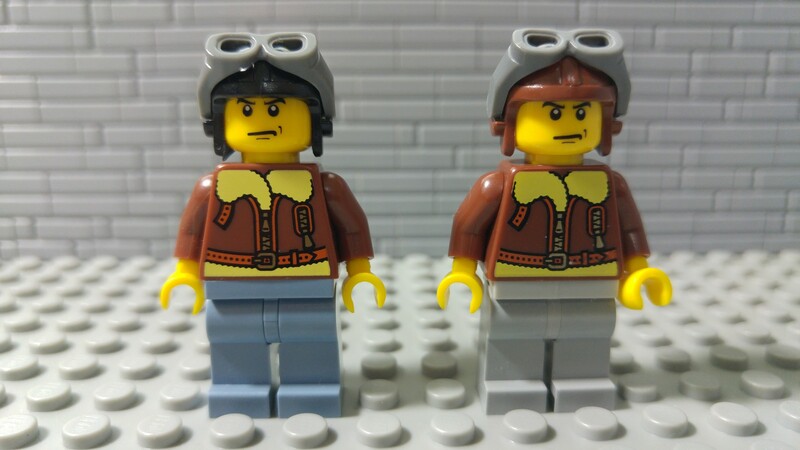 Other than the the colors of the skin of the plane and the differences in the minifig pilot, there are no other notable differences between the two.. 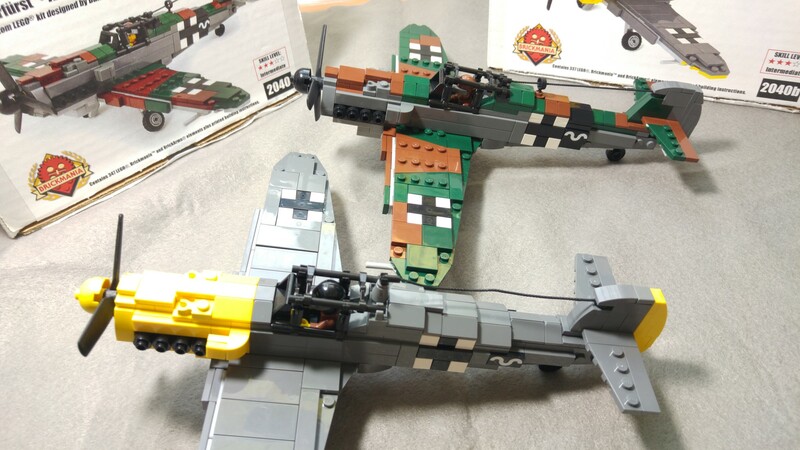 Both planes do not require any stickers and took around 2 hours to complete. Both planes have the same flaws on the undercarriage. 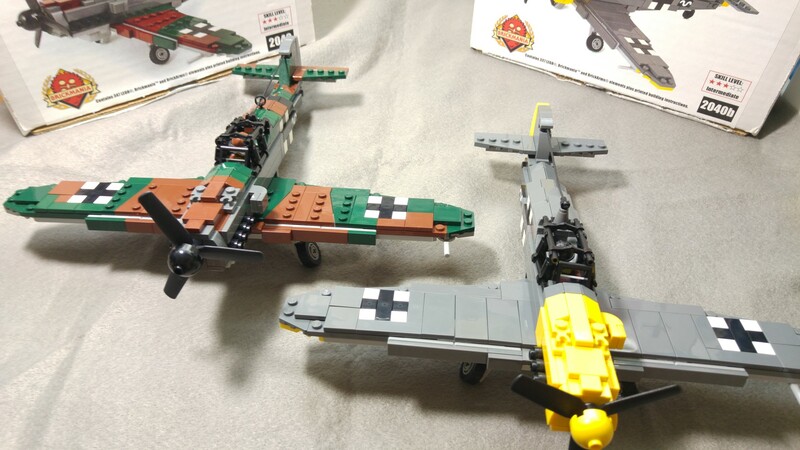 Current Brickmania has released another version, the Bf 109 E-4 , a “tropicized” version however it should be similar built to the two planes.